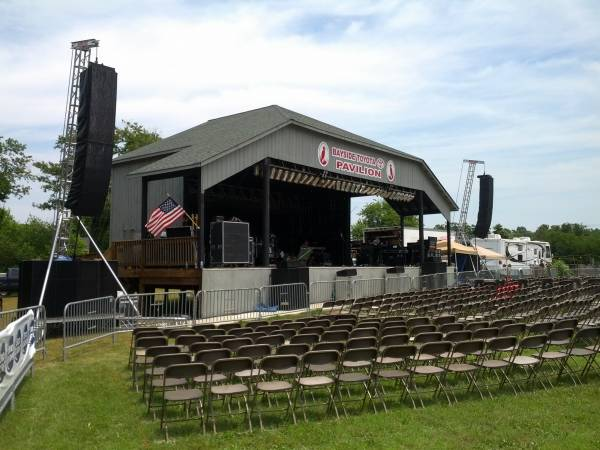 Southard Audio LLC is located near Harrisonburg, Virginia, about two hours from Washington DC, Richmond VA, and Roanoke VA. Our company provides technical production for concerts, festivals, and special events. Founded by partner and CEO Mike Southard in 1980, we are approaching our 35th successful year of providing the eastern United States with quality, professional event support. Our success comes from developing a trust with our clients; Our clients trust that they will receive exceptional, consistent, and reliable service from both our staff and our hardware. The formula is simple: provide quality, service, and value. The production staff is the most crucial aspect of any successful event. Our staff is unsurpassed. Friendly, flexible, experienced, and highly skilled personnel are the cornerstones of each event we produce. Immense care and research is given to every piece of equipment we purchase, to ensure that any system we provide will meet the highest standards of sonic quality, artist acceptance, and reliability. Components are packaged for quick set up and safe travel, and all equipment is meticulously maintained and serviced. From our first phone conversation to the final encore, you will know that we take customer service seriously. We listen, we ask, we do our homework. And on the day of the show, you can be confident that we will arrive on time, provide a competent and experienced crew, and be prepared to present the quality our clients have come to expect. We know you still have to watch the budget, so we watch ours. Our careful advance-work ensures that you aren’t paying for things that you don’t need, while important details – which are critical to the smooth operation of an event – are covered. And our location, outside of major metropolitan areas, drastically reduces our operating expenses and allows us to be surprisingly price competitive. 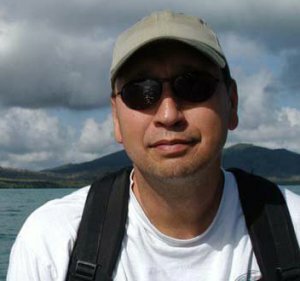 Southard Audio founder Mike Southard was a commercial pilot and flight instructor before his overriding interest in music led him into a career in live sound reinforcement. He performed in a band, taught music, and attended James Madison University while nursing Southard Audio into existence, but left JMU for good when presented the opportunity to pack his gear and drive to British Columbia to tour with a band. 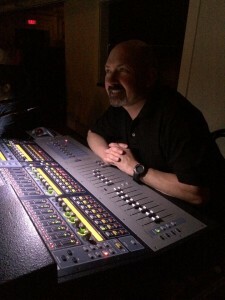 During the 35 years since Southard Audio was founded, Mike has been featured in various trade publications including Mix Magazine, was a contributor to a textbook on concert production, visited 45 countries throughout Europe, the Middle East, Asia, and Africa as a sound engineer on four USIA music tours, and continued teaching music as a sideline for 20 years. Mike remains at the helm of Southard Audio while daily operations have been handed to managing partner Jason Misterka. Partner and Operations Manager. 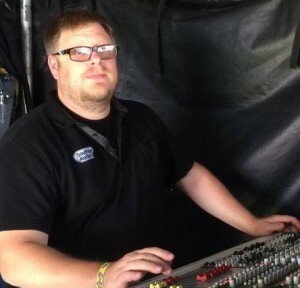 Beginning with a college internship, Jason joined Southard Audio in 1997 and continues to enjoy the challenge of managing large productions and deploying complex systems day in and day out. Jason studied classical music intensely, and has degrees in both Music and Business from James Madison University. 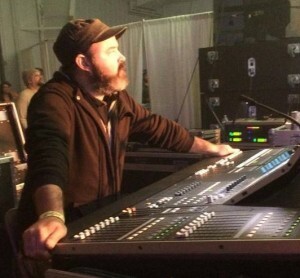 Jesse began as a stage helper working festivals with Southard Audio around 2001, and then shortly afterward began learning the art of mixing monitors and FOH. He is one of the best at figuring out how to get "all that stuff" from the truck onto the stage, put it in position for an event, and then get it back into the truck at the end of the night. 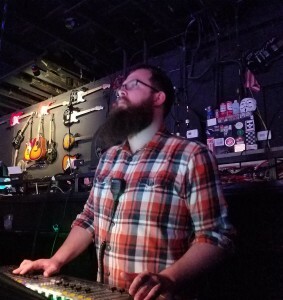 Jesse currently splits his time with Southard Audio and on the road as the touring FOH technician for the band, the Steel Wheels. 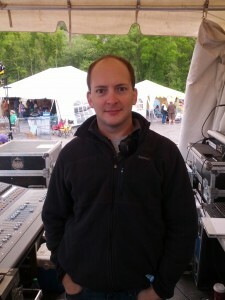 Matt started as an intern with Southard Audio in 2010 and quickly worked his way up through the ranks. He loves deploying systems both large and small, and is equally at home behind a console or lifting the heaviest of equipment. Matt studied American Literature and Music Industry at James Madison University. 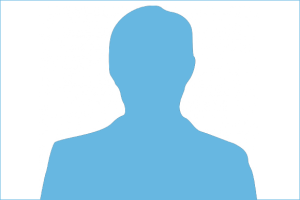 Cameron started working for Southard Audio in 2012 and has an extensive background in data networks and RF communications. 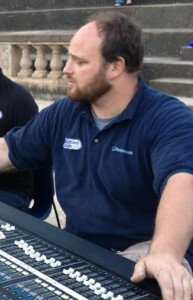 Coming from the corporate IT world he manages the our digital audio networking and other dependant systems. Always glad to lend a hand, you can usually find him near a stage or setting up a PA.
Chad studied Electronics Engineering Technology at BRCC, as well as Music Production and Technology through Berklee College of Music's online school. 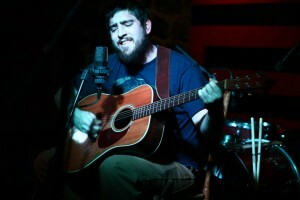 He is currently a Band Engineer for a disco/funk band in the region and owns a small repair shop in Fishersville, VA. 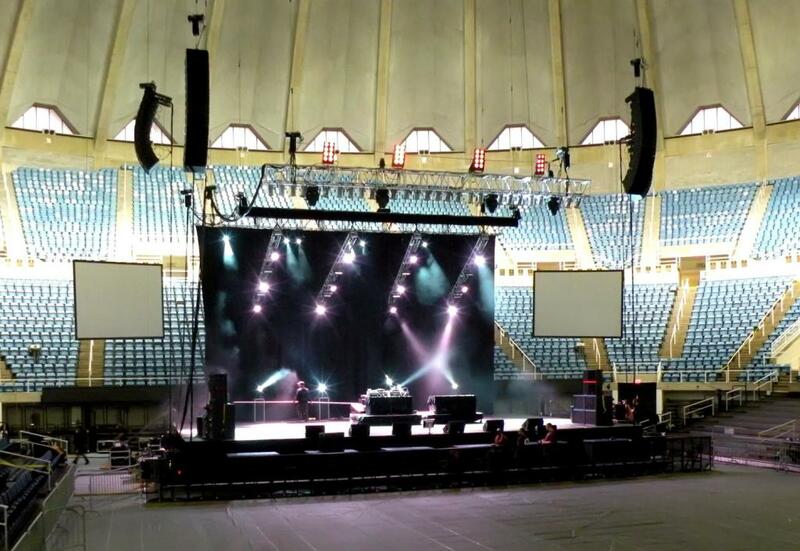 Even before graduating from James Madison University in 1990, Bob had been involved in regional and national touring with his own production company, and then as the FOH engineer for Eddie From Ohio. Bob has freelanced with Southard Audio for many years but beginning in 2005 has become a regular fixture. 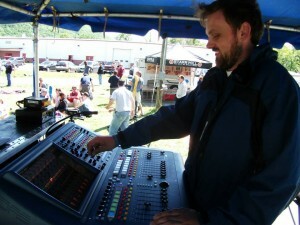 Always smiling behind a FOH console, you will find Bob right at home at the helm of many concert and festival stages. A mainstay of Southard Audio for many years, Thomas has moved back to his hometown of Raleigh, NC to be closer to family. Now working with several high caliber production teams in his home state, from time to time we are lucky to find a hole in his schedule and can properly deploy him to the windswept muddy field du jour. Artists we have served include: Herbie Hancock, Snoop Dogg, Jennifer Nettles, Kenny Rogers, Jesse McCartney, J Cole, Lyle Lovett, Patti LaBelle, Kathy Griffin, Alan Jackson, Aziz Ansari, Sheryl Crow, BB King, Fallout Boy, String Cheese Incident, Ludacris, Josh Turner, Whoopi Goldberg, Tina Fey, Gary Allan, Florida Georgia Line, Brantley Gilbert, Gabriel Iglesias, The Newsboys, Kris Kristofferson, Trey Anastasio, Lotus, Jason Isbell, Bill Maher, A$AP Rocky, Macklemore & Ryan Lewis, Buddy Guy, Kirk Whalum, Martina McBride, Ravi Coltrane, The Irish Tenors, Third Day, The War On Drugs, Steve Martin, Luke Bryan, Mac Miller, Gov’t Mule, Lil Uzi Vert, Michael McDonald, Alabama, Russell Brand, Gladys Knight & The Pips, Wanda Sykes, T-Pain, Goo Goo Dolls, Kansas, Bela Fleck & The Flecktones, Puddle of Mudd, Beach Boys, Wiz Khalifa, Plain White Tees, Ceelo Green, Robert Cray, Thirty Seconds To Mars, The Del McCoury Band, Ramsey Lewis & John Pizzarelli, Sara Evans, Grace Potter and the Nocturnals, Linda Ronstadt, Fugees, Wynton Marsalis, Dizzy Gillespie, Lou Rawls, Daughtry, Third Day, Lettuce, Travis, Mercy Me, Mel Torme, Dave Matthews Band, Lee Brice, The Temptations, Ziggy Marley, Nate Ruess, Yonder Mountain String Band, Stephen Stills, Little Feat, Emmy Lou Harris, Peter Paul & Mary, Marty Stuart, All Time Low, Bruce Hornsby, Randy Travis, Mercy Me, Dwight Yoakam, Blues Traveler, Casting Crowns, Ricky Van Shelton, Portugal the Man, Patty Loveless, Lady Anebellum, B.O.B., Hank Williams Jr, They Might Be Giants, Avett Brothers, Rick Springfield, Big Head Todd & The Monsters, Dierks Bentley, Alison Krauss, Rae Sremmurd, Bobby McFerrin, Dark Star Orchestra, Tori Amos, Charlie Daniels Band, Walter Kronkite, Wynonna Judd, The Neville Brothers, The Seldom Scene, Richard Marx, Juicy J, Garrison Keeler, Lynyrd Skynard, The B-52s, Merle Haggard, All American Rejects, Rosanne Cash, Michael W Smith, Justin Moore, Old Crow Medicine Show, Loretta Lynn, Vince Gill, K’Naan, Trace Adkins, Asleep at the Wheel, EmmyLou Harris, and hundreds of others.